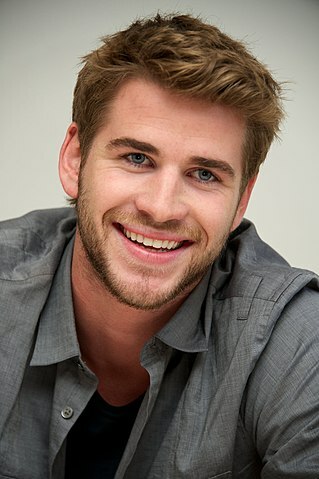 Liam Hemsworth was born in Melbourne, Victoria, Australia, on January 13, 1990, is an Australian actor. Young Liam Hemsworth began his acting career in television soap opera Home and Away (2007). He made his big screen debut in science fiction film Knowing (2009) in role as Spencer. Liam's breakthrough performance came as Gale Hawthorne in the science fiction dystopian adventure film The Hunger Games (2012) opposite Jennifer Lawrence. He played the same character in sequels: The Hunger Games: Catching Fire (2013), The Hunger Games: Mockingjay – Part 1 (2014) and The Hunger Games: Mockingjay – Part 2 (2015). Younger brother of actor Chris Hemsworth. He is ambassador of the Australian Childhood Foundation. He is an avid surfer. Featured in music videos for Zac Brown Band "Colder Weather" (2010) and Miley Cyrus "When I Look at You" (2009). Good friends with Jennifer Lawrence and Josh Hutcherson. Liam began a relationship with Miley Cyrus in 2009, while filming The Last Song. He married Cyrus in 2018. As the younger brother, I think you always have crushes on your older brothers girlfriends. Honestly, I'm not an extravagant person, I don't spend a lot of money. The Hunger Games absolutely changed my life. One of the biggest inspirations before I started shooting came from my brother, when he texted me and said, "Hey, fatty, it's called 'The Hunger Games', not 'The Eating Games'.". So I started working out a lot more and eating a lot less. I feel like anything I'm doing in life, I try to stay myself and be as honest and true as I can be, you know, and be a nice person. I've always been taught to be kind to people and have an open mind about life. All women think men look good in suits. To be honest, I like the way they look, too.